I gave a spark-notes’d account of this information in my last post, but after a bit of thought I decided that some extrapolation was necessary. This is my best collection of budget travel tips, all in one place. Enjoy! Source: South Jersey News. Click for link. Plan logically. Don’t be like me. Do as I say, not as I do. Yadda yadda. But seriously, planning effectively is the one thing that will inevitably save you money before and during your trip. Also, plan out your trip so that you will have shorter distances to travel between legs; if you are doing an Italy-France-Spain trip, don’t hit Rome, then Paris, then Barcelona, then the little towns. (Why you would do this in the first place is beyond me, and I doubt that you would, but it probably happens). Instead, if you’re planning on going to all of these places, get a ticket to Paris (or wherever it is cheapest to fly) and work in the shortest possible trips from there. Look for airfare deals. Explore your options. Shop around. Look at fifteen sites, or a compilation site, like kayak.com. Using a compilation site is a quick way of getting a cheapish flight, but looking even beyond those sites to independent sites like STA Travel and Airfare Watchdog will give you even more options. If using Airfare Watchdog, it is also possible to receive e-mails when the site finds a “budget” price, which is very handy if your travel dates are flexible. Travel in the off-season. Travelling during the “off season” for your destination will usually lend itself to cheaper prices. Paris in January costs less than Paris in June. The cutoff day for most of Europe’s shoulder/off-season is generally June 1st, and begins again in September. Dine at local establishments. Stay away from English-language (assuming you’re in a non-English speaking country) advertising and menus, restaurants that advertise credit card acceptance (although this is becoming increasingly common even in local restaurants). Try something new. Ask a local (if you can) where they would eat. Alternatively, ask a concierge about quaint local places where you can get good food at a local price. It is helpful if you’re able to speak to the servers in their native language, or at least try as best you can. Learn to say “please” and “thank you” in their language. If all else fails, point to what you want and smile. 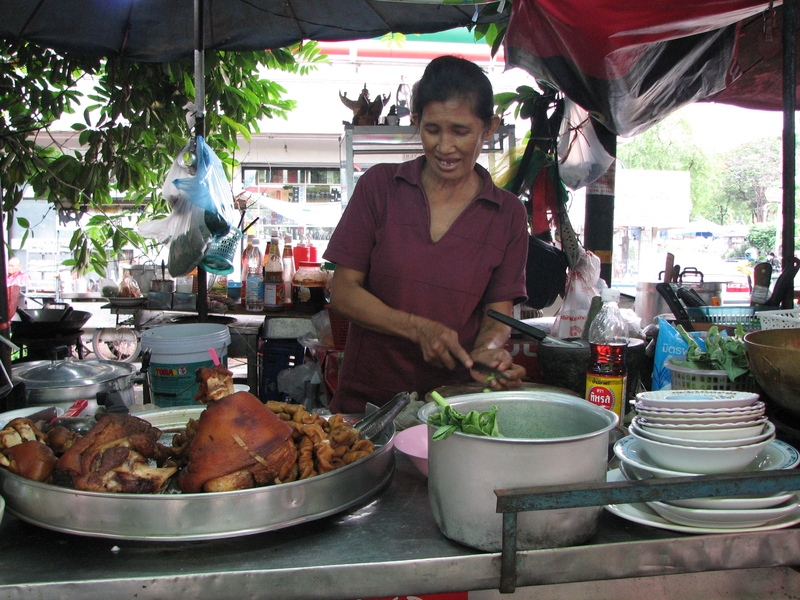 Woman serving food in an outdoor Thai eatery. Shop for food in local markets. Some of the best food I ate in Europe was purchased at the local markets. While it leaves you eating a lot of cured ham and mozzarella sandwiches, they’re cheap and allow you to buy as much or as little as you want. It also allows you to consume great local cuisine as the locals do, and gives you a very rewarding experience. 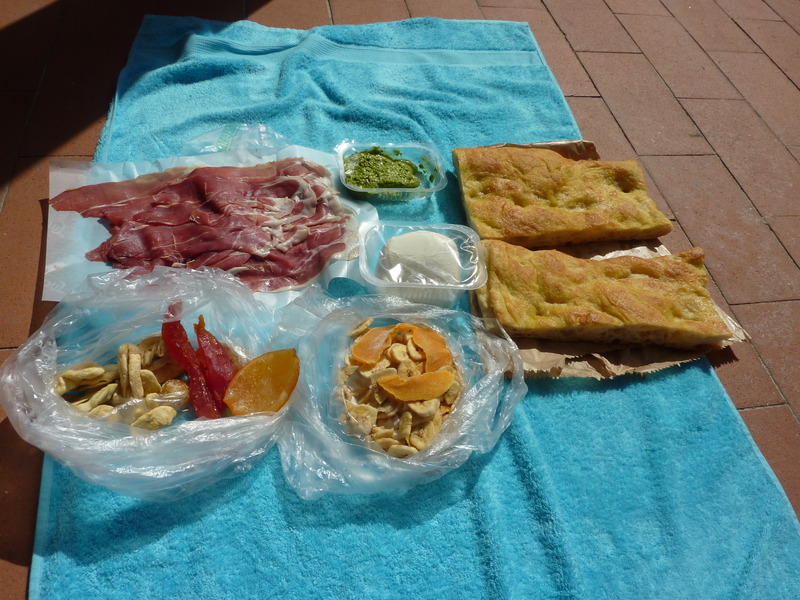 Yummy meal from the Saturday Market in Florence. Eaten on a beach towel. Stay in hostels and guesthouses. Even if you’re not keen on staying in a dorm with four to twelve other people, probably strangers, private rooms still cost considerably less than most hotels. A nice room with a double bed, a small personal bathroom and a clean atmosphere that my friend and I rented in the St. Christopher’s in Amsterdam was $60, split evenly between the two of us. Most are clean and great ways to meet people as well. Look for alternative means of travel. Last night, I was looking into ways of getting from Greece or Turkey to Israel. Flights from Turkey were around $700, and from Athens (notorious for cheaper airfare) around $300. Then I looked into trains, but found a ferry instead. This ferry, which could be a very pretty ride, is six hours long and costs $30 one way. If you’re under 24, a student, and/or booking a return ticket, take 20% off. I’ll take it. Prioritize your sightseeing. Many attractions in Europe will cost 15 or more Euros, and while some of these are completely worth your while, others will not be. Fifteen Euros is a lot for most backpackers, but the financial justification can be made up or factored in: if you visit an expensive attraction in the morning, head to the parks, cheap, or free museums in the area. In Brugges, for example, student entry to most museums is one Euro. One. Totally worth it. Conversely, the Van Gogh Museum in Amsterdam costs 15 Euros, but if you really want to see it, spend the money and divide it among the two attractions: Eight euros a piece may be more within your budget. Rank your priorities, see the ones you really want to see (or are highly recommended by trustworthy sources), and cut things that look like tourist traps. Remember that a stroll through the market can be more worthwhile, for you, than seeing art that you know nothing about and will not enjoy. 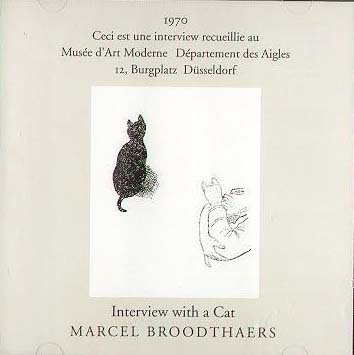 A favorite sketch in a Bruges museum. Buy a rail pass. You can research and buy one HERE. You can learn more information HERE, and buy passes there also. If you plan on hitting more than one country, or multiple cities in a region (say, 3 or more), then it is absolutely worth it to buy a rail pass. I happened to lose my first rail pass in Britain, and had to pay more for one ticket than my entire four-trip rail pass cost me in the first place. They seem like big investments at first, but it is absolutely worth it. Note: keep ALL PIECES OF YOUR RAIL PASS. Do not economize on space with your paperwork– it is ALL important. Note #2: VALIDATE YOUR RAIL PASS AT EVERY TRAIN STATION. You will save yourself major grief from the conductors and ticket checkers. I never had to pay for this, but was threatened with fines multiple times. If you are young/industrious/resilient enough, you can maximize your days by taking night trains. Most trains will offer a sleeper cabin (or at least large reclining seats). If you take these trains, you don’t have to pay for nightly lodging and you won’t waste any of your precious few days abroad. If you have a rail pass, furthermore, you will save extra money on your trips, and extra time at the train station. Consider bold moves. Try couch surfing or homestays. Stay with friends or strangers, but trust only people with good reviews, recommendations, or personal ties to you or your friends. Be wary of anonymous websites, and make sure that you NEVER give your passport or important documents to these people under any circumstances. It is safer with you than it is with anyone else. Thanks for sharing. The tip on the Railpass was particularly useful. Didn’t know that. No problems! Glad I could help.